A new generation of GNSS hardware and pioneering new correction data services are enabling cheaper, more compact and truly scalable high-precision GNSS solutions, ready for the mass market. 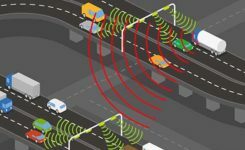 High-precision GNSS as employed by specialized markets for more than a decade isn’t aren’t suitable for mass-market autonomous vehicles or other mainstream use cases. As well as being big, heavy and expensive, traditional high-precision GNSS systems don’t scale, which is a critical shortcoming when you consider this capability may very soon need to be built into every car that gets built. To overcome these challenges, we’re seeing two complementary things coming to market: a new generation of GNSS hardware, and pioneering new correction data services. These two key facets combine to enable cheaper, more compact and truly scalable high-precision GNSS solutions, ready for the mass market. A new generation of GNSS correction service forgoes the two-way link between customer device and the correction data service that is a hallmark of traditional high-precision GNSS corrections. Instead of sending each device its own, location-specific GNSS correction data, the new-generation services create a real-time model of relevant errors across their entire territory. They broadcast this over satellite and/or the Internet for customer devices to pick up. Correction data has long been key to high-precision GNSS services. In traditional applications, the customer’s positioning device detects its approximate location and sends this information to its correction service provider. This provider uses a network of base stations to monitor GNSS errors, comparing the readings calculated from the satellite signals to the stations’ known, fixed positions. It uses these insights to send the customer’s device tailored correction data, based on its location. The technology has successfully been used to provide centimeter-level accuracy in surveying, agriculture and machine control, but annual subscriptions of sometimes more than $1000 per device mean it’s remained confined to specialized markets. Moreover, traditional correction data services typically only operate in one country, or even one state. While this may not be an issue in some applications (such as localized agriculture), there are other use cases where limited range is a major problem. Imagine, for example, that you regularly need to travel across a state or national boundary in your (semi-) autonomous vehicle, or carry out remote UAV-based surveying in another country: maintaining your high-precision positioning capability is likely to mean roaming contracts and other extra costs. The other issue with these traditional services is scalability. They use two-way cellular communication to pass data back and forth between the customer device and the correction data provider. And while this works when device density is relatively low, if this number grew to thousands or even millions of end-user pieces of kit trying to access the correction data service, current cellular infrastructure would struggle to deliver the required reliability. Particularly in safety-critical applications, where losing access to the correction data service could put lives at risk, this is unacceptable. 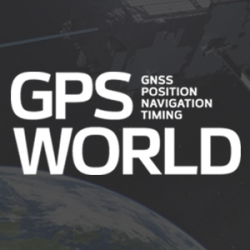 The new generation of GNSS correction services, creating and broadcasting a real-time model of relevant errors across their entire territory, over satellite and/or the internet for customer devices to pick up, opens the door to large-scale, mass-market applications of high-precision GNSS. Technology using State Space Representation (SSR) is one flavor of these new-generation GNSS correction data services. Japan has led the way in GNSS error-broadcasting, using the L6 signal of its QZSS satellite network as a proving ground for mainstream use of the approach. Although it’s currently only available within Japan, the Centimeter Level Augmentation Service (CLAS) is generating a lot of interest across the automotive, agricultural and machine-control industries. Mitsubishi Electric, for example, used the CLAS service to field-test its autonomous driving system. In China, Qianxun Spatial Intelligence Inc. is pioneering a different technique. Instead of broadcasting the data, Qianxun SI is leveraging its special access to the Chinese GNSS reference base stations to push the boundaries of what’s possible using the traditional technique. It provides tailored correction data services to customers including individuals, system integrators and original equipment manufacturers (OEMs). While it’s been a success in China, the approach is less appealing to OEMs who ship worldwide, because it requires their clients to arrange their own, local GNSS correction data. Another important advance has been the rise of multi-band GNSS receivers, which enhance standalone positioning accuracy, thereby delivering a better customer experience in a variety of use cases. However, even multi-band receivers can’t achieve the centimeter-level accuracy that mobile robotics and autonomous vehicles need: these devices will always need to be complemented by some form of correction service. Particularly in Europe, where there’s a lot of cross-border travel and economic activity, the simplicity of continent-wide GNSS correction services would offer enormous value. Sapcorda, for example, a recently launched joint venture between Bosch, Geo++, Mitsubishi Electric and u-blox, is creating a next-generation GNSS correction data service with coverage on a global scale (Europe, North America, etc), building on the lessons learned in Japan. Sapcorda will broadcast right across the continent, using cellular networks as well as over satellite links. Customers won’t be tied to a specific GNSS manufacturer. Data will be distributed in an open format, so that device-makers can create exactly the solutions their customers want. Having access to GNSS correction services continent-wide has the potential to transform high-precision positioning into a mainstream offering, supporting various IoT applications, as well as drones and (semi-) autonomous vehicles. High-precision GNSS correction services that target the mass market are still relatively new, with different suppliers pursuing different business models. Trimble’s service, for example, doesn’t use an open correction-data format, and is only compatible with devices using its own GNSS receivers. The benefit of this is that it can deliver a seamless, fully integrated solution, with complete interoperability across the Trimble product range (provided the region in question has good coverage). OEMs with customers is geographically broader markets will need to weigh this up against the benefits of global coverage provided by a range of correction-data suppliers offering open-format data. As we touched on earlier, in safety-critical applications where location-accuracy is essential, any correction data service must be up to the task. This includes ensuring data broadcasts aren’t crowded out when cellular networks become saturated. To this end, u-blox has been working with the 3GPP body to create appropriate standards that can ensure the service meets the required service level agreements. Lastly, although there’s now country-wide coverage in both China and Japan, Sapcorda is now attempting to provide continent-wide high-precision services. If it’s a success, it could overcome the challenges of national boundaries and country-based cellular providers. It’s as yet unclear how existing correction-data-service suppliers will respond. For high-precision GNSS services to achieve mainstream success, they not only need to offer wide coverage and be truly open, but must facilitate innovation and ensure they can broaden the appeal of this capability beyond being a niche specialism. Like in any industry, customer satisfaction is essential if the technology is to achieve this. Complexity that arises as a result of state boundaries, national borders, conflicting regulations or subscriptions, must be shielded from the end user and dealt with upstream. This is already happening in some areas, where device-makers are partnering with correction data service providers, enabling them to bundle the service cost into the device cost that the end user pays. As well as helping to realize some of the automated navigation solutions currently under development, new-generation high-precision GNSS services are driving a seismic shift across the whole industry. The rise of innovative, high-precision GNSS technology, combined with business models that promise to make high-precision a mass market reality, mean the coming years will be tremendously exciting. By disrupting the existing market, the new technology will mean lots of new opportunities for those ready to grasp them. Peter Fairhurst joined the Product Strategy team in the Product Center Positioning at u-blox AG in 2015. He is responsible for the development of industrial markets, with a specific focus on unmanned systems and mapping solutions. Prior to u-blox, he was part of the Product Management group at Leica Geosystems AG, where his focus was on high-precision GNSS surveying technology. Fairhurst holds a bachelor degree in Mathematics & Computer Sciences and doctorate degree in satellite geodesy from Newcastle University and an MBA diploma from the University of Strathclyde.